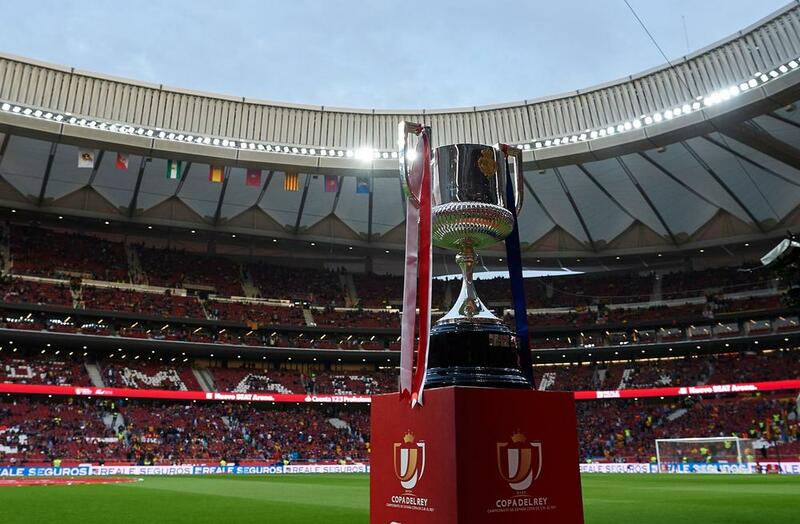 Levante-Barcelona, Girona-Atletico Madrid, and Real Madrid-Leganes are the standout fixtures following Thursday's Copa del Rey round of 16 draw. The draw for the Copa del Rey round of 16 took place on Thursday afternoon at the headquarters of the Royal Spanish Football Federation, in Madrid. Perhaps the standout fixture will see Real Madrid looking for revenge over cross-town rivals Leganes following last season's encounter in which the European champions were eliminated by their humble neighbors. Así quedan los octavos de final de la #CopaDelRey. In two other matchups of note, Barcelona have been pitted against Levante - the side that, on the second last day last season, deprived the Catalan giants of an unbeaten domestic campaign - while Girona will be taking on Atletico Madrid.